In August, science fiction writer N. K. Jemisin, who happens to be black and female, won the 2018 Hugo Award for Best Novel with the third in her Broken Earth trilogy, Stone Sky. 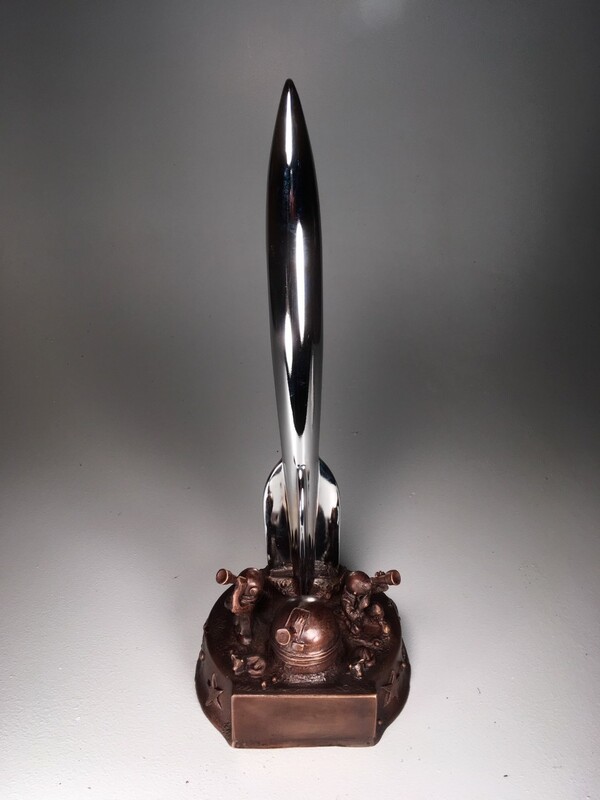 The award, presented at Worldcon 76 in San José, California on August 19, 2018, represented a monumental achievement. Each of the three novels in the series has won the award: The Fifth Season (2016), The Obelisk Gate (2017), and now Stone Sky. Not only has the whole trilogy been honored by the Hugos, but Jemisin has made Hugos history by winning three years in a row. The link above is for the Kindle edition; the print edition may be further down the search list. Find the print edition for promotional pricing, or read it free on Kindle if you participate in the Kindle Unlimited program. The novel is the first of a four-book series called Harbingers. I’ve also written a prequel. Because several of the novels are about musicians and the music they play, you can also visit my web site, janemwiseman.com, to find a play list. It’s hard to hear the music played inside a book! You can also go to my Pinterest board, janemcfw, to see some of the places and things the characters might have used, worn, visited, eaten. Book 1: Blackbird Rising, the story of a young girl, Mirin, whose family has been slaughtered. As she looks for her lost sister, she is enlisted into the service of a mysterious organization, the Rising. They need her skills as a minstrel to pass messages for them, so they apprentice her to one of their members, who seems to be a traveling performer but is actually a spy for the organization. As she grows older, she discovers that the Rising is actually a group of resisters against the usurper king of the realm, committed to his overthrow. Torn between finding her lost sister and bringing a dispossessed young queen to her throne, Mirin needs all the gifts the gods have given her—her music and also the mysterious connection she has with the blackbirds that symbolize the Rising. But at the end of her journey, will the man who forced her into the Rising be there to help her, or has he become her bitterest enemy? If you read it, please, please, please review it on Amazon. Book 2: Halcyon (available on Amazon in 2019; sample chapter at the end of Book 1), follows Mirin as she attempts to rescue her stolen daughter and find the man who has come to mean more to her than anyone in the world. Book 3, Firebird (coming soon) follows Mirin’s daughter Keera as she sets out to use her arcane powers to avenge her parents. Book 4, Ghost Bird (coming soon) follows Keera and Laorans to the Unknown Lands, a new life, and the end of her family’s saga. Recently I was remembering Twilight Zone episode 89 (1962), the one with the big reveal so iconic I don’t even need to issue a spoiler alert for it. You know the one. A friend in an mmorpg I play told me something I didn’t know, that the Twilight Zone episode was based on a great Damon Knight short story titled, as the episode is, To Serve Man. It’s widely anthologized; I promptly found it and read it. (Thanks, Aeolith!) The television episode is fairly faithful to its source. Knight despised bad sci-fi writing and said so. “To Serve Man” is the opposite. It’s admirable sci-fi writing in every way, all the more so because its surprise ending actually works. I personally hate the gotcha twist at the end of too much fiction and too many movies. These twists are usually too clever for their own good, clever just to be clever. The Sixth Sense, for example, over-relies on a cheap trick to put one over on the viewer. Don’t even get me started on that thing with the crop circles, which apparently takes place during a profound drought–otherwise, no story. I’m no fan of O. Henry or any of his ilk. The ending is not the only aspect of this great short story that works. The writing is matchless. It is simple, direct, muscular, effective. Here’s where Knight’s short story leaves The Twilight Zone episode in the dust, with its portentous Rod Serling intro and manipulative soundtrack, its bad acting punctuated with gratuitous cheesecake. And that poor silly alien! I like the Simpsons aliens so much better. Whatever. I need to read more Damon Knight.